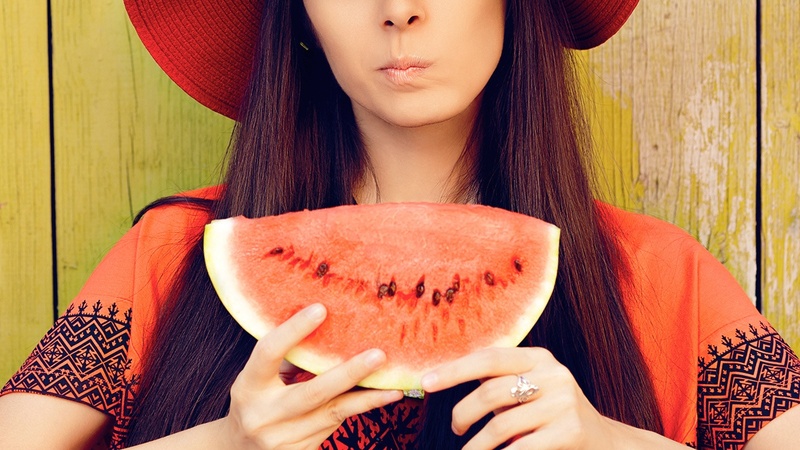 There's something about watermelons that reminds us of blue beaches and the sun on our bronzed skin. And since we're a tropical country, we have an abundance of it that we can consume year-round—for DIY sheet masks, that is! Sarah Lee and Christine Chang of Glow Recipe told Vogue that they were inspired by the recipes they grew up with that used the fruit's effectiveness to soothe rashes, acne, and sunburns. 1. Slice watermelon into discs and quarters, creating 2-inch-thick triangular wedges. 2. Remove pink flesh so that only a hint of it remains on the rind (save for snacking hehe). 4. Using a knife, carefully slice the rind into paper-thin pieces and apply directly to irritated skin until the cooling sensation subsides.